Its port, agriculture and the wine and pisco industry stand out since the early years of the colonial period. Pisco, Quechua name meaning “bird”, is a place that was within the territory of pre-Hispanic cultures Paracas and Nazca. The city of Pisco has a temperate, desert and oceanic climate, with high and low temperatures throughout the year. 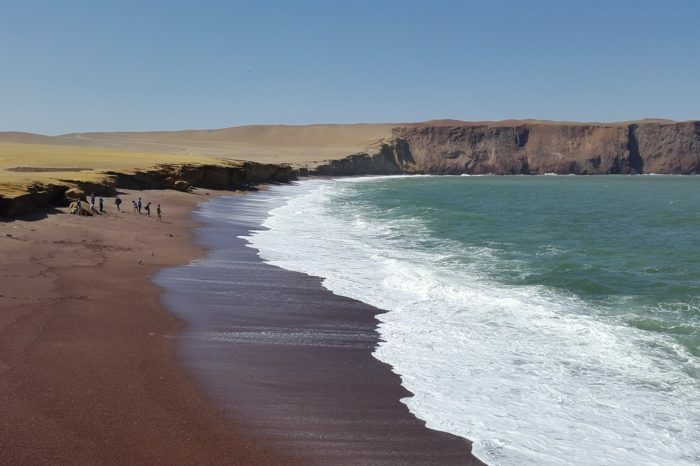 It also presents several times a year called Paracas winds that reach speeds of more than 70 km / h in several locations. 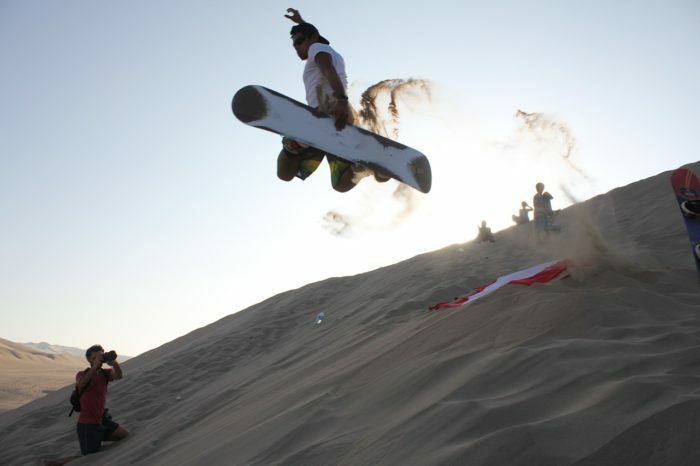 According to the climatic classification of Köppen, Pisco has a warm desert climate. 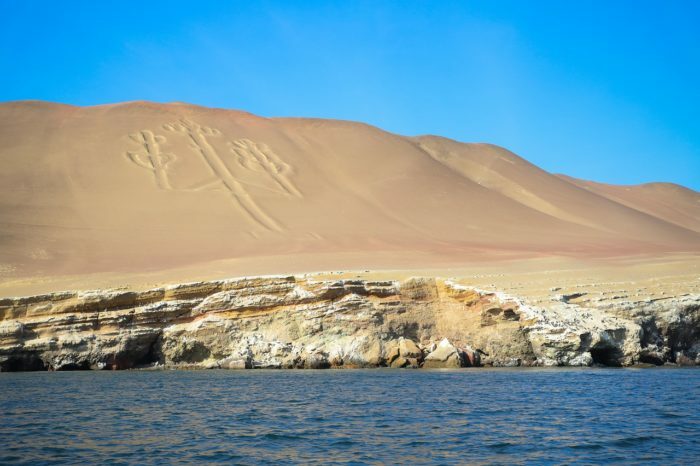 Its proximity to the National Reserve of Paracas makes the city of Pisco a starting point for expeditions to both the Reserve and its coastline, which include the Ballestas Islands. 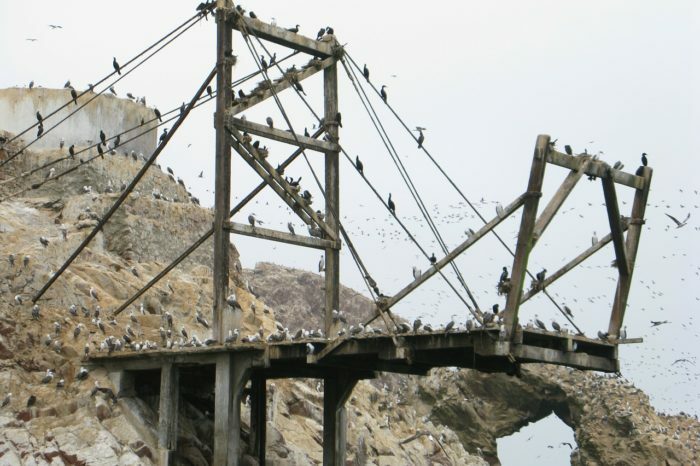 The Ballestas Islands are a refuge for sea lions and various birds. The circuit to the place is done in boats, which allows to appreciate these species in their environment safely. Rock formation caused by marine erosion. The concave shape of its structure, which recalls cathedral domes, gave it its name. It was seriously damaged as a result of the earthquake suffered on August 15, 2007 (destroyed). The Plaza de armas de Pisco is one of the most important places in the city since there is the nation bank, the bank bbva, interbank, etc. In addition there is the San Clemente church that was rebuilt after the 2007 earthquake, also the PNP, and the sunat. 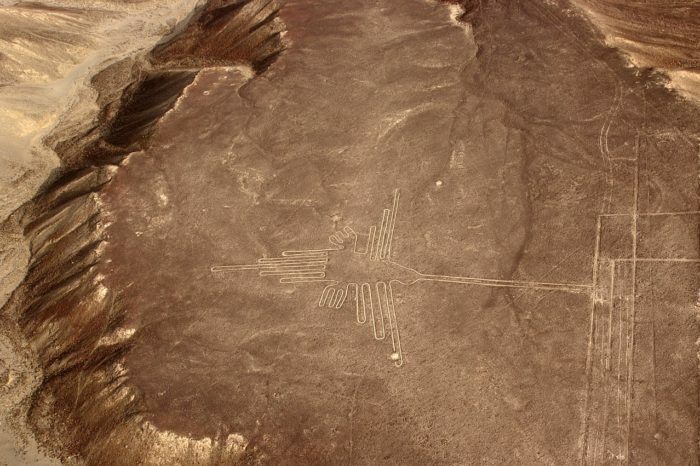 Geoglyph Its large dimensions and its design on the sand allow to distinguish a relationship with the lines and geoglyphs of Nasca and Pampas de Jumana. Its origin is still a mystery, a theory points out that it was made by José de San Martín, interpreting that it is a symbol of Freemasonry and another that it is a sign for navigators. It is possible to visit the archaeological remains of Tambo Colorado, well-preserved Inca urban center, which are half an hour from the city of Pisco on the road to Ayacucho or “Vía de Los Libertadores”. It was an Inca settlement (1450) located in the province of Pisco, a valley of the same name, on the right bank, in a corner formed by the hills near the town of Humay. It is one of the best preserved archaeological sites in Peru, typically Tahuantinsuyo in its outline and architectural design. It presents the singularity of being built in adobe, as an example of the adaptation of Quechua architects and engineers to the new coastal environment that they were beginning to conquer.